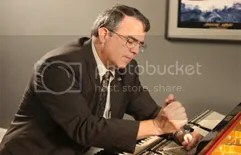 Chicago Pianos.com Blog | It's a blog about pianos & the piano industry, providing useful information for piano buyers. What if we all looked this good at 51!? This Knight piano is not only a fantastic find because they rarely surface in the US, but also because this one appears to have been preserved in a vacuum. Knights were the primary premium piano brand of Great Britain for most of the 20th century and were the only pianos allowed to share the showroom at Steinway Hall in London. This particular instrument has a unique style and finish that is simply not found in pianos anymore. The all-hardwood case features “butterfly” veneers – a process by which veneers are split and laid out symmetrically, as seen in this image. It’s even more rare for this theme to continue throughout each piece on the piano. It’s truly spectacular workmanship that was a British trademark for centuries. Beyond that, Knights are beautifully-designed Instruments, with fantastic tone and touch. Despite Cordogan’s seeing thousands of pianos each year, we can still count on one hand how many times we have had a Knight piano in the past 30 years. If you’re seeking a unique performance piano, we have your Knight in shining walnut. For more information, call us at 630-584-5000 or visit chicagopianos.com! We are so excited to be offering this amazing 7’5″ Steinway Model C that we had to give it more attention than simply the listing in our used inventory. It has a quite the story to tell! We originally acquired this piano in 1999 and began a restoration project that would go down in the record books. 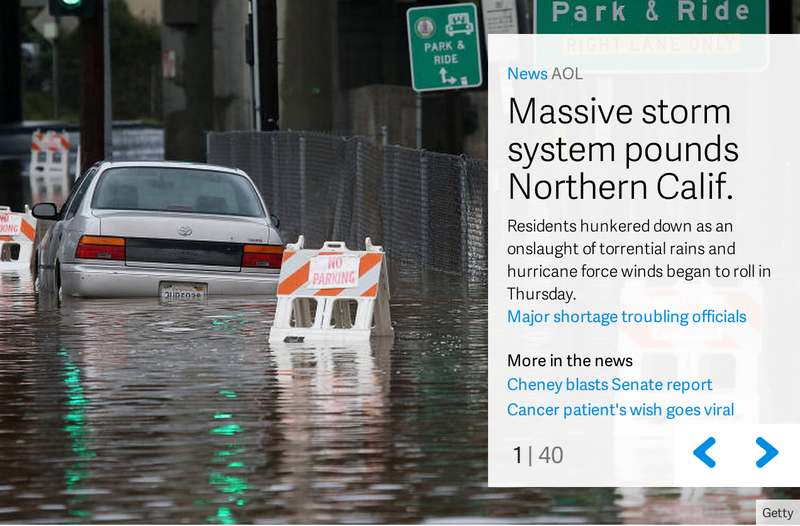 At that time, we had two model C’s in stock — the only time in 50 years that has ever happened. But that’s not all. 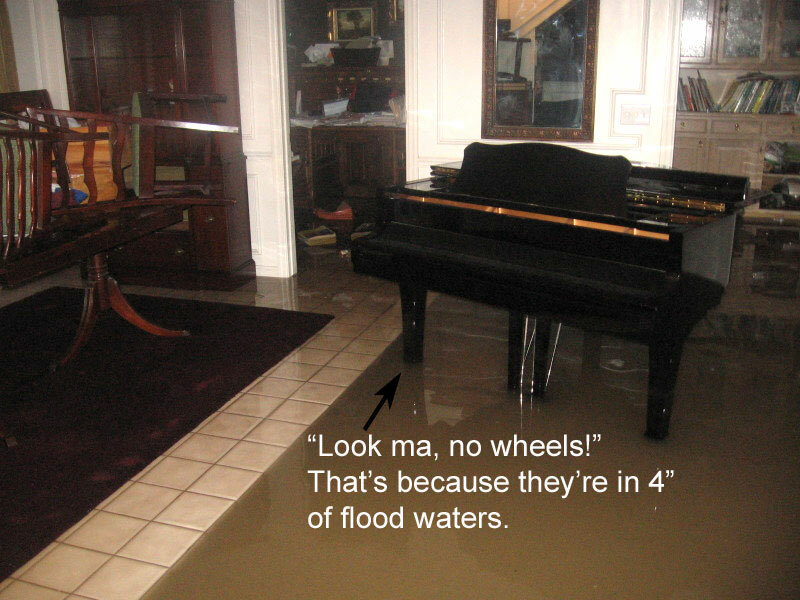 The two pianos were very close in serial numbers and in condition. We wanted to see what it would be like if we rebuilt one using the original soundboard and one with a brand new Steinway soundboard — keeping everything else the same. Basically, we wanted to see what a new New York Steinway C would sound like vs. an old one, which is a comparison that cannot be made today since Steinway C’s haven’t been made in over 100 years. 2) For additional authenticity, we chose a unique way to procure the rebuilding and soundboard installation. We shipped the piano to Peter Mohr, a former Steinway employee and his father Franz Mohr, former Chief technician at Steinway and the personal technician to countless piano greats such as Vladimir Horowitz. 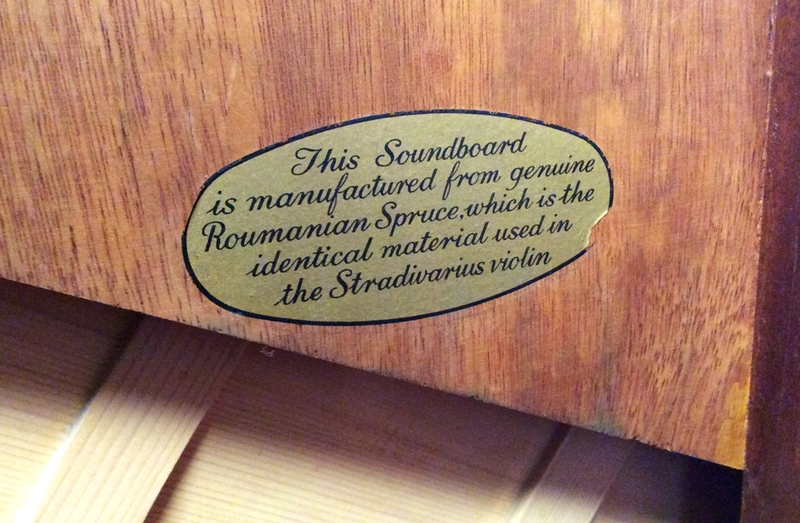 With this pedigree, it would be easy to argue that it is at LEAST as good as a new Steinway C — possibly better given the highly skilled attention it received. Both pianos then received new keys and a complete action from Steinway. 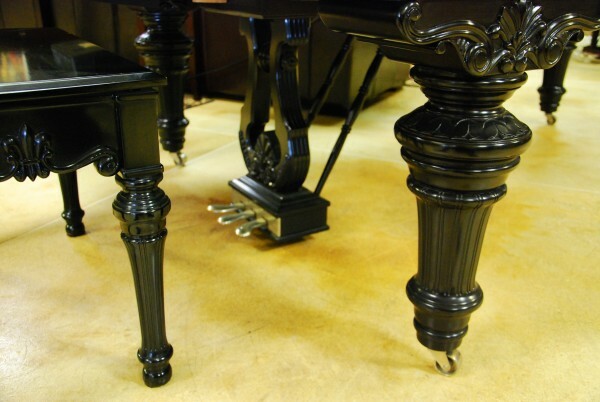 They were then refinished to perfection and even received new, custom-made benches to match the Victorian legs on the pianos. To unveil the results, we brought the pianos to our Deerfield store and hosted a Piano Technicians Guild (PTG) meeting for the Chicago chapter. We let the technicians analyze them and share their findings. The results were interesting indeed. Both pianos were deemed beautiful instruments, but in the case of this piano, the consensus was that they felt like they were experiencing what a NEW New York Steinway Model C was like — clear and powerful, but with that vintage Steinway warmth. The other piano was very similar, but without the additional clarity and power that the new soundboard delivered. One more interesting note — in the summer of 2000, after the restoration, we invited the legendary entertainer Steve Allen to perform a concert at our Deerfield location to celebrate our 50th anniversary. 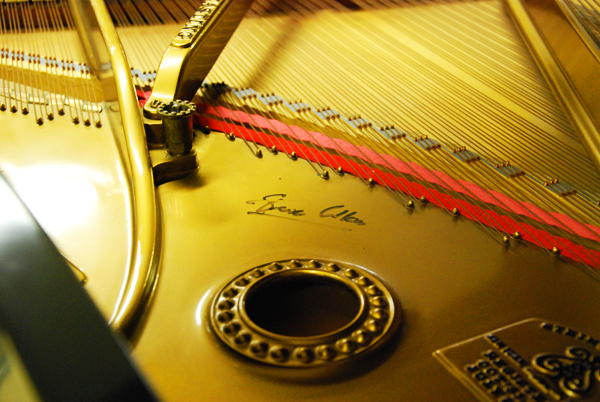 After the concert on this piano, he signed the piano’s iron frame. He died only a few months later. 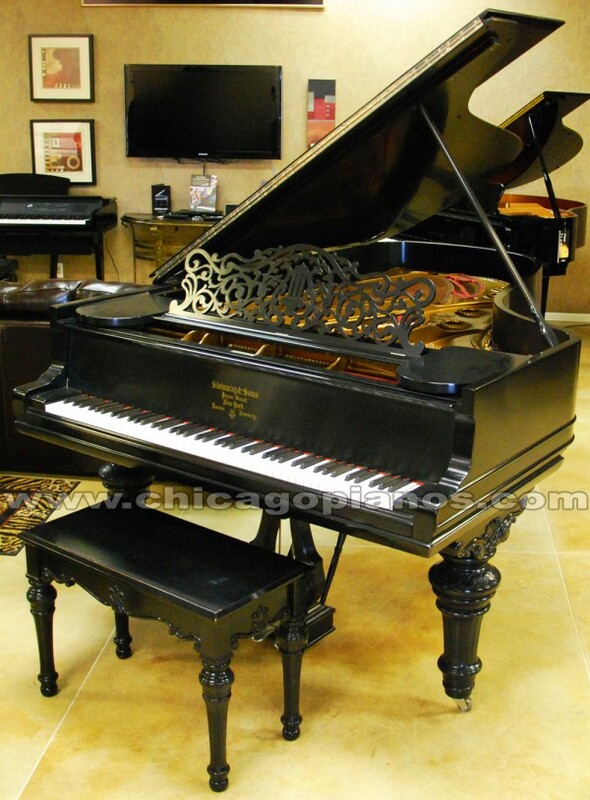 If you think you might be interested in the most beautiful Victorian Steinway model C available anywhere, please contact http://www.chicagopianos.com at 630.584.5000. 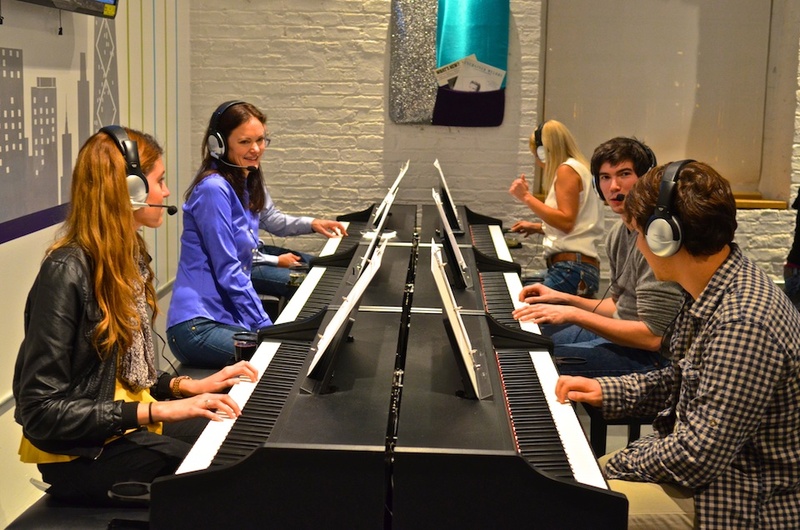 Free piano concert in Geneva, IL Friday night! Cordogan’s Pianoland is proud to host a free piano concert by world-class pianist Yana Reznik this Friday, March 18th at 7:00PM. This concert is sponsored by Shigeru Kawai and is part of Kawai’s national “Artist & Artisan” series. Refreshments will be served. Seating is limited so please RSVP to 630-584-5000. We are so proud to present a very special free concert featuring such a talented, international pianist, an amazing piano and a master technician who is bringing the two together. 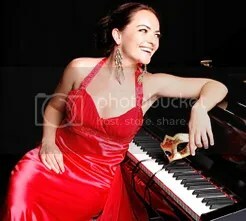 Yana Reznik: Pianist, speaker, producer, host, entrepreneur, and cultural leader. Yana has been revolutionizing the way classical music affects our society. With her passionate performances and captivating storytelling, she won the hearts of thousands on her 2010-2014 tour across the United States. Becoming known as the “Pianist with a Voice”, Yana breaks the boundaries of the expected and creates innovative programs to bring the beauty of classical music to a wider and more diverse audience around the world. Born in Moscow, Ms. Reznik holds a bachelor of music degree from the Manhattan School of Music, a master of music degree from the University of Southern California, and a professional studies certificate from the Colburn Conservatory of Music, where she was under the tutelage of Phillip Kawin and John Perry. She has also studied at the Rachmaninoff School of Music in Moscow, Russia with Raisa Bekerman, the Interlochen Arts Academy with Stephen Perry and Chapman University with Joseph Matthews. Her TV appearances include the Late Late Show with Craig Ferguson, performing with violinist Nicola Benedetti. In 2010, Yana performed with Carrie Underwood at the ACM Awards on PBS. Her music has been broadcasted on WFMT Chicago, NPR, “From the Top”, Interlochen Public Radio and KUSC Los Angeles. Since moving to Chicago in 2014, Yana has performed at the Chicago Symphony All Access Chamber Series, Myra Hess Concert Series, and PianoForte Foundation. Her concerts were broadcasted live at WFMT 98.7 Radio. Don Mannino: After a traditional 2-year apprenticeship, Don worked as a piano rebuilder and concert piano technician for international artists. He has trained extensively with Kawai Master Piano Artisans (MPAs) in the U.S. and Japan – and has prepared instruments for the William Kapell International Piano Competition and concert artist across North America. After earning his MPA certification in Japan, he has worked alongside the Japanese MPAs in the creation of Shigeru Kawai pianos. Looking forward to seeing you Friday night! 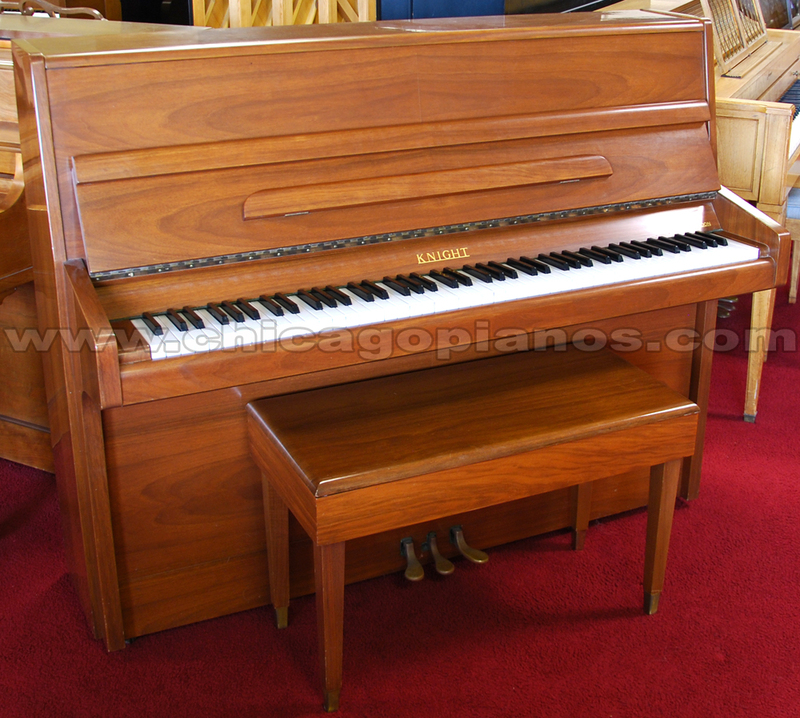 Used piano deal of the week! An amazing and unique piano has just arrived in our used inventory! 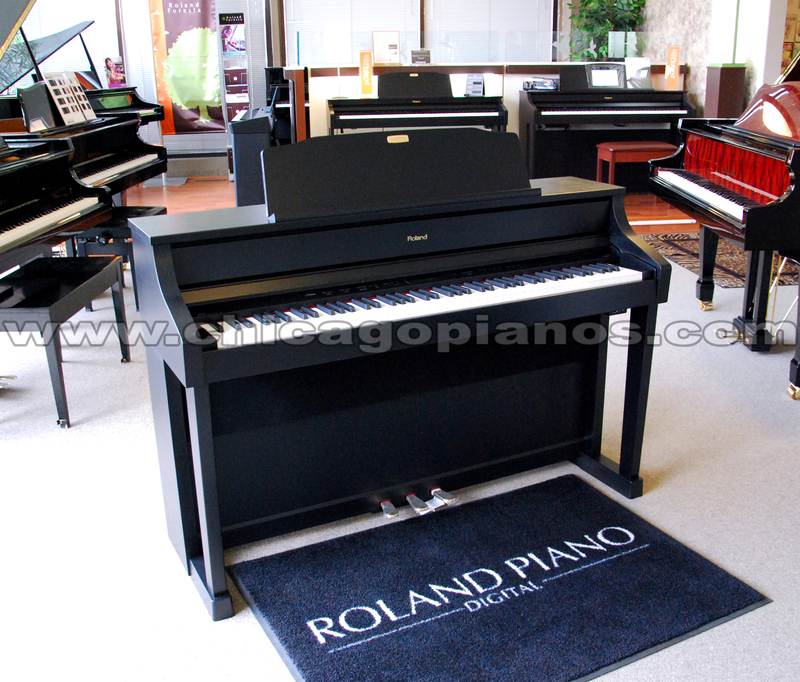 It is essentially the “Holy Grail” of used baby grand pianos: Made in Japan, polished ebony, and in like-new condition…. But what’s particularly special is that a new piano like this from Kawai or Yamaha doesn’t actually exist. 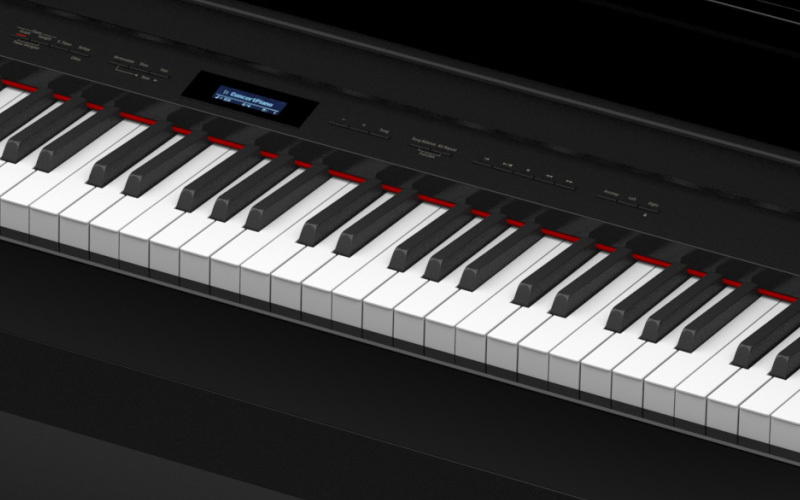 New Yamaha/Kawai baby grands are now made in Indonesia. The consensus in the technical and musical community (along with the judge & jury called “The Internet”) is that the Indonesian-made Kawai and Yamaha pianos aren’t as desirable or as valuable as genuine Japanese-made pianos. Now, when you also consider that it is much more affordable than any new Yamaha Silent grand piano, the choice becomes very clear. 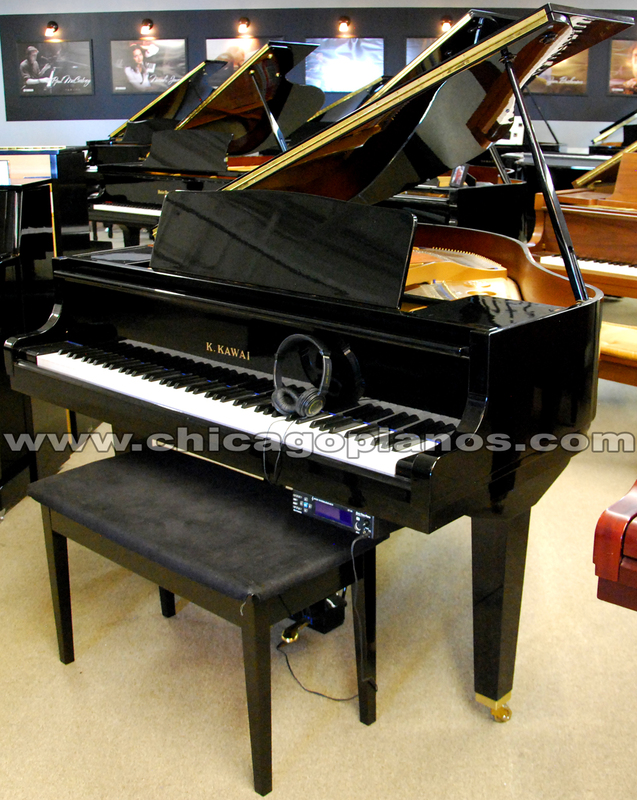 Come check out our Kawai Silent Piano at Cordogan’s Pianoland or give us a call at 630-584-5000 (toll free 877-242-9944).